Before Coconut Kite, Wiebke founded Waterlovegirl in 2011 thriving to enable girls to start kite surfing, do Yoga and nourish their souls. She was running many kite trips in Denmark and Spain until she had her second daughter. In 2017 Wiebke and Alex teamed up and created Coconut Kite. 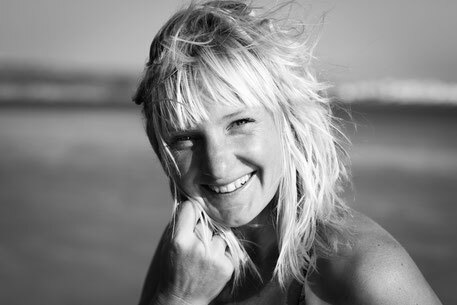 Wiebke is a graphic designer, sports scientist, kite instructor, yoga and pilates teacher and will take care of you at all kite trips taking place in Tarifa. She will activate & relax your body and with her positive attitude she will show you the easy and bright side of life. Any questions? Just contact us here. Together with Wiebke, Alexandra created Coconut Kite in 2017. A great passion for kite surfing, more than 7 years of teaching experience across the world and the beautiful joy of spending time in the nature created the concept of Coconut Kite. When Alex is not on the water, she works as an engineer and travels the world as much as possible. Alex will mainly take care of the Denmark Kitecamps and support in Tarifa. Her motivating, joyful and enthusiastic character will take you to your limits and bring the best out of you. Maren is an enthusiastic waterlover since her childhood. She hgoes swimming, sailing, surfing and canoeing whenever water is in reach. When Alexandra taught her kitesurfing several years ago, she discovered her new passion. She is a freelance Art Director, licensed VDWS kite instructor and loves Yoga, running and all kinds of sports and nature. Maren is a relaxed and positive person person that gives you a feeling of peaceful mindfulness whenever she’s around. She also loves cooking healthy and nutritious food and is creating a smooth homey atmosphere around her. She loves to travel the world and encounter new kite spots or just soak up the spirit of nature around her. Nina is one of the yoga teachers on the team. Originally from Hessen (middle of Germany) she felt the urge to move closer to the ocean and lives and works as a yoga teacher in Flensburg now. Her classes offer a mixture of Hatha and Vinyasa but are always based on a proper alignment of the body. Besides her obvious passion for yoga, she tries to spend every single minute on the water. She started kitesurfing around two and surfing five years ago. Oliver is part of the Coconut Kite crew. He supports as a wave expert, video maker and surf photographer. When he is not on the water he is busy doing social media work, web architecture or drone experiments. He has provided most of the photographic awesomeness on our page and will support as an advanced instructor and Kite & Photography teacher. You can check out his page here www.oliverraatz.de. Together with Alex and Wiebke, Simone traveled to Denmark many times, to have fun in the waves, enjoy great spots close to home and to teach kitesurfing for the waterlovegirl kite camps. She is very much into wave kiting & surfing. After living on the Canary Islands for a few years, this passion was set in her personality forever. 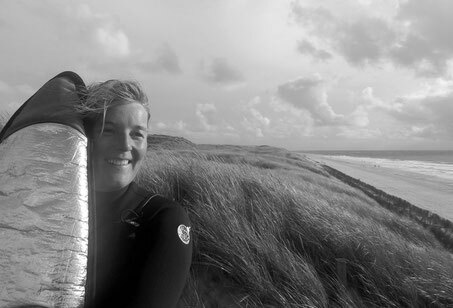 In the last years, she worked at Sylt - one of the best spots to pursue her passion in Germany. Working as a professional restaurant waitress offers the opportunity to travel the world and explore many destinations and kite spots. Starting out as a windsurfer, Simone has been teaching water sports since 15 years. 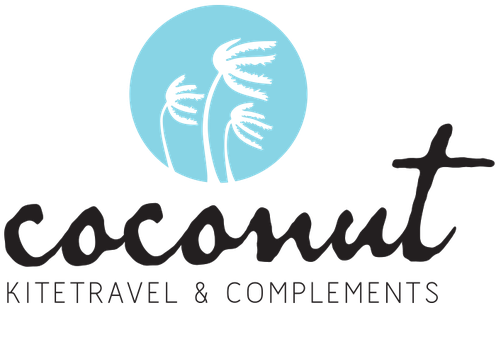 She will support Coconut Kite teaching kite boarding and surfing in waves or do SUP (Stand Up Paddling) lessons. Coconut Kite is led by a team of passionate water sportswomen. Our mission is to bring kite surfing to you and enjoy a heart-opening fun time together. We will make sure your kite surfing trip will be a wonderful journey to enjoy, laugh, learn and relax. Our focus is your well-being and your progress. Teaming up to practice kite surfing, supporting each other and learning together is a great experience! Our packages ensure an all-round bundle in locations like sunny Tarifa in Spain or the windy Danish Ringkøbing Fjord as a very close kite spot for a short trip. We like to promote enthusiasm and team spirit during our individual camps and embrace the trend of beach lovers, taking a hand full of garbage back with every visit. Because we love our beaches! We would love to welcome you on BOARD!